Electric dance music has been in and out of the spot light since disco in the 70’s, now its cultivating beats have allowed it to become not only a stadium-level moneymaker but also a passion for those who listen. 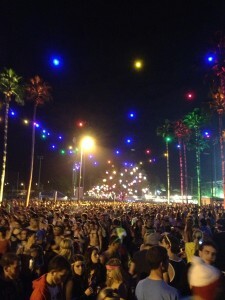 Attending the 2nd Annual Electric Daisy Carnival was my first peak into the intriguing life of EDM Festivals. The atmosphere in itself was like nothing I’d seen before. Most attendees went all out for the occasion, accessorizing with things such as flowers, neon clothing, tutus, wings, masks and many other costume like attire. Decorations throughout the festival gave the weekend an out of reality feeling, with illuminated light fixtures from the trees as well as lights surrounding almost every other part of the venue. Not to mention the carnival rides placed at the different stage locations added to the exhilarating experience. “The experience was absolutely amazing and a birthday present in itself! You get so much energy from the crowd and performers and a rush from the rides. It’s the perfect combination of thrill and entertainment!” says Rachael Reynolds whose birthday landed on the first day of EDC. Having 3 separate stages allowed for many more DJ’s to play this year then the last time EDC came through Orlando. Having performers such as Tiesto, Armin Van Buuren and Afrojack with closing sets was absolutely the perfect way to cap off each day, with the entire crown going crazy for more. The whole atmosphere of EDC, the lights, the rides, the amazing people, and the performers all added to the euphoric experience. 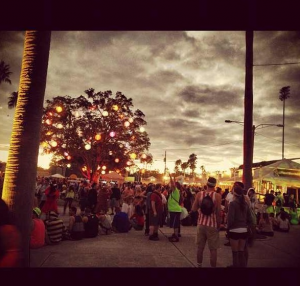 Talk of EDC Orlando 2013 are already underway!